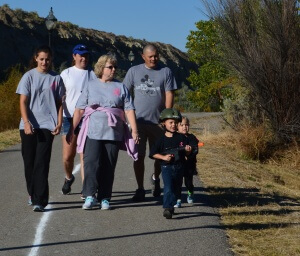 Situated at the crossroads of Highways 550 and 64 in northern San Juan County, New Mexico, Bloomfield, the “little city with a big heart,” is home to more than 7,800 people. With quality schools and a focus on the family, Bloomfield knows the importance of providing an atmosphere that is healthy for not only the families that live here, but the companies who do business here. 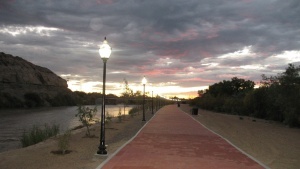 Bloomfield’s economic base comes from the oil and gas/energy industry, retail, restaurants, general service companies and the all-important tourist industry. More than 400 businesses understand the value of being part of the business community in Bloomfield and those numbers are growing every day. City of Bloomfield’s elected and appointed officials seek economic development opportunities and are committed to providing a quality of life residents and visitors will enjoy. A focus on beautifying the city, creating green areas to help the environment and being progressive and innovative in its vision and mission for the city are priorities to city leaders. 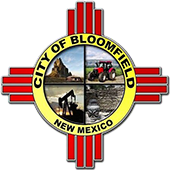 Bloomfield is part of a tri-city area which includes Aztec, the county seat, and Farmington, the largest city in the area. East of Bloomfield are several small rural communities, none of which are incorporated or have the amenities of a city, which adds an economic boost to Bloomfield as people from those communities come to town to shop. In addition, Bloomfield is the gateway to countless tourist attractions, including Durango, Colorado (45 miles to the north), the internationally known and recognized Quality Waters (about 20 miles to the east), Navajo Lake State Park (about 22 miles to the east), Chaco Culture National Historic Park (about 60 miles to the south), Angel Peak Scenic Area (16 miles to the south), and Salmon Ruins & Heritage Park (one mile to the west. Countless people travel through Bloomfield to any number of destinations and it is the City’s goal to create an environment that encourages those people to stop and stay, increasing the City’s economic base. In addition to the fishing offered by the Quality Waters, Bloomfield is easy access to popular ski resorts, including Purgatory Mountain Resort (71 miles to the north), Wolf Creek Ski Resort (133 miles to the north), and Telluride, Colorado (152 miles to the north); golf, water sports at Navajo Lake, mountain biking, and hiking. Those recreational opportunities bring thousands of tourists through Bloomfield and we would like to take advantage of that traffic to help our local economy. You’ll also find the nicest people in the world in our city. 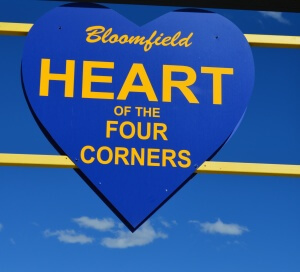 Residents are the Heart of Bloomfield and their love of family, community, faith and patriotism unites our community and makes it the best place to live, raise a family and do business. Copyright © 2019 Bloomfield, NM. All Rights Reserved.